July was a very simple month in terms of my gaming time. 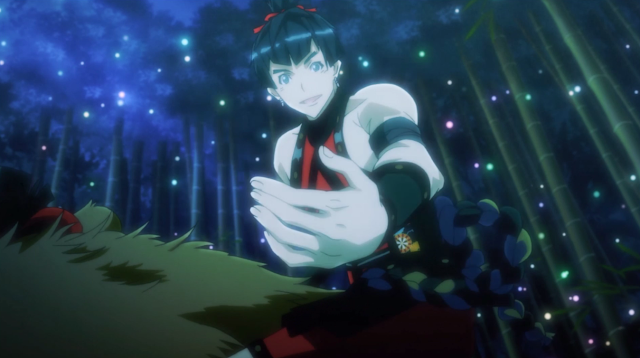 I’ve been trying my very best to conquer the difficult tactical JRPG God Wars: Future Past and have also been trying not to get distracted so I actually finish it because it's taking a bit of time. I touched a few of my favourite console games when I needed a break and I also logged into some new and old mobile favourites to get some character rewards and be reminded I’ll never have enough time to truly conquer them. Although it was a straightforward month of JRPGs, I mostly enjoyed what I played and at the very least having a solid gaming direction, so here are all the JRPGs I played in July. Being honest, God Wars: Future Past mostly gets my JRPG of the month by default as I played it almost daily for the entire month. 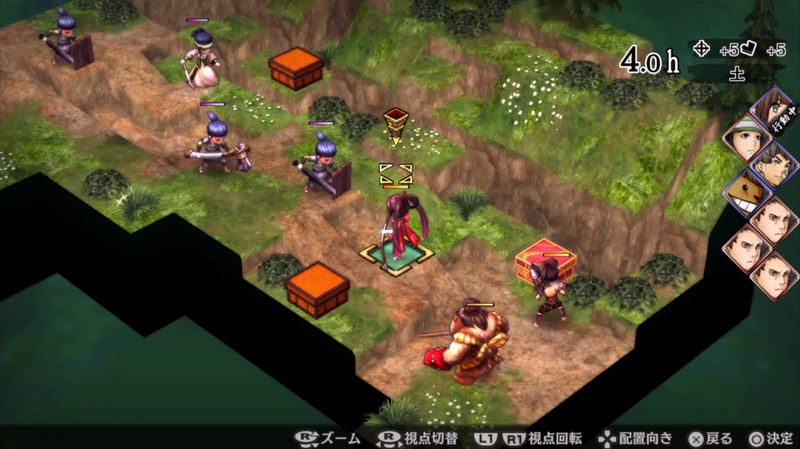 God Wars: Future Past is an interesting conundrum. I mentioned in my First Impressions post that I was attracted to it because of its art style and story about Japanese mythology and all of this is definitely there, but it is much more drawn out than the demo made me feel, with mixed results. I like the tactical nature of it and I feel like I’ve learnt a lot of about playing well in tactical JRPGs which I’m honestly happy about, but the learning curve took a fair bit of time and battles are intricate enough, but slow moving in general. I’m starting the see the light now (the game has literally told I’m approaching the climax of Kaguya’s story) and am interested to see if the ending will be worth the long grind and I wonder how my current mixed feelings will settle at the end of it. I hadn’t logged into Brave Exvius for a while, but I was lured in by some Final Fantasy X character units. I absolutely needed to get Rikku into my party, so I took the little leftover Lapis I had and did some character gachas. I was lucky enough to get a four-star Rikku, which I was very happy about, and also got way too many Wakkas and no Tidus. I rolled for these and then didn’t actually play any Brave Exvius, which is a little unfortunate because I think I have another island to explore, but maybe at some point I’ll actually get some time to level them up and work on the story again. I also logged into Fire Emblem Heroes while I had some desk time at work to level up my mostly five-star party on auto-battle. 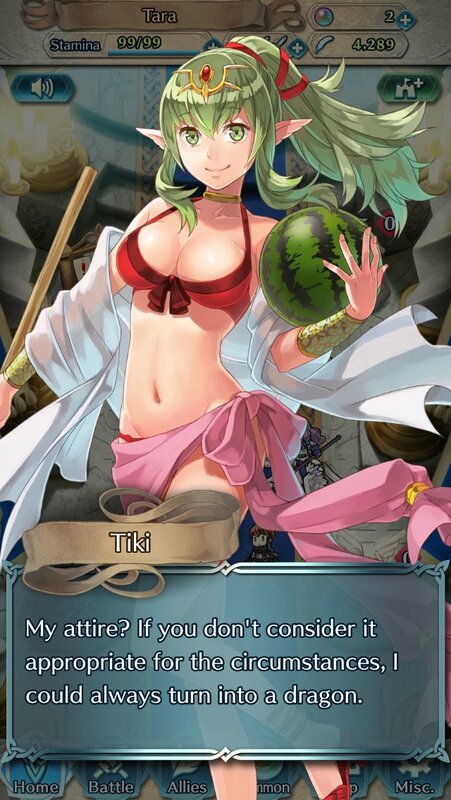 It was mostly uneventful, although I had a somewhat awkward moment at work where summer Tiki, as beautiful as she is, came up on my screen and made me promptly put my phone away just in case the boss noticed and asked why fantasy bikini girls kept popping up on my screen. In saying that, I did on the way home that day also try to get one of the summer characters in the gacha, but I had no luck. I don’t actually know what their stats are like, I had just forgotten about these character styles and wanted something limited, but maybe it’s for the best I didn’t get one since I mostly play Fire Emblem Heroes at work and would like to keep it that way. 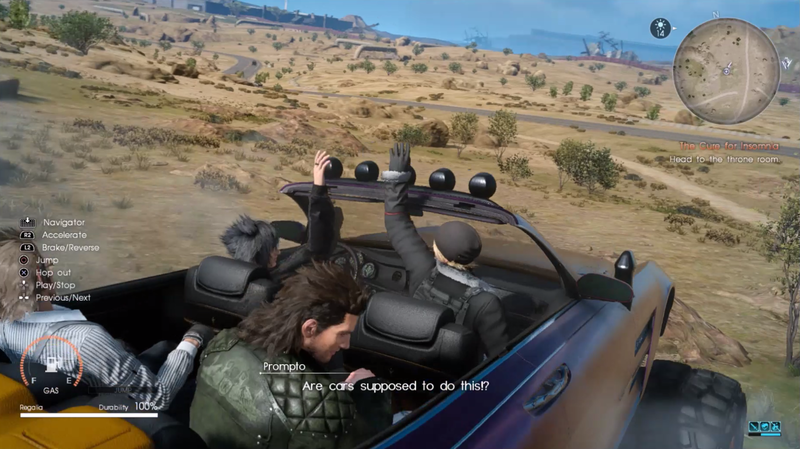 I played a little Final Fantasy XV at the beginning of the month because I wanted to try the Regalia-D I heard people on Twitter and in the comments saying was pretty fun. I think I find snowmobiling in Episode Prompto more fun because of the different area, but I like the gimmick of the Regalia-D, even if I’m not so good at driving it. I also did a bit more recipe hunting and while there were no weird Ignis glitches this month, I had fun running around the map finding new recipes as usual. I played Persona 5 both for fun and for capturing footage for my Persona 5 dungeon video, which is always nice as I’ll always take any excuse to play Persona. I’m still in my second playthrough and just cleared the second dungeon and got best boy Yusuke in my party. I haven’t spent as much time as I would have liked to on my social links, so I hoping to dedicate a day to this once I finish God Wars for a break before getting back into other stuff. As a side note, sometimes I think about the eight months I played Persona 4 Golden when I first got my Vita years ago and I honestly wish I had the time to do this with Persona 5 too. If it was on PS Vita, perhaps I’d have more of a chance to do this and as much as I love it on PS4, I think I really associate playing Persona on my Vita. Maybe one day they’ll port it to Switch or something as it’s a wonderful game I wish I could play all the time. As a huge fan of Digimon Story Cyber Sleuth, when I saw Digimon Links in the Japanese App Store, it was pretty much an instant download. 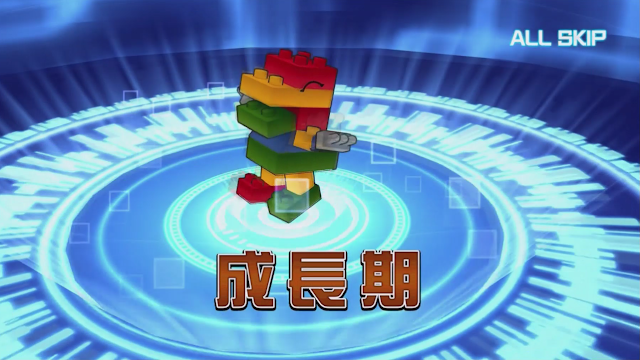 I’m not far into it at all since I’m still in the tutorial phase, but how accurate the Digivolution and summon screens were to the TV show ones was really impressive. The turn-based battles also aren’t unlike the ones in Cyber Sleuth, so I hope it’s a game I can pick up quickly and hopefully I’ll get back to it soon because I need Agumon in my party! Since I’m still playing God Wars, I think my first week of August will be dedicated to finishing that and I think it’s an achievable goal. After that I should be a bit more free to get back into other things. 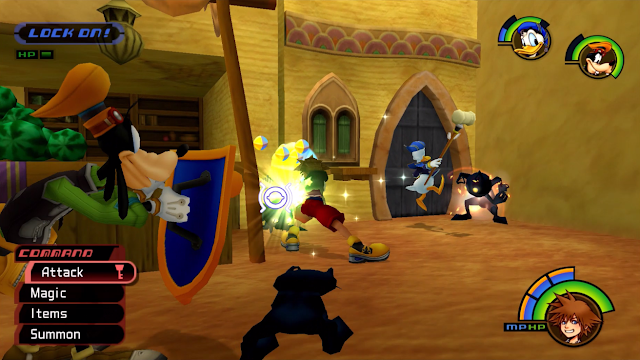 I really want to get back into Persona 2 and the original Kingdom Hearts again before their stories go hazy in my mind, so I’ll probably do that right after I finish God Wars. 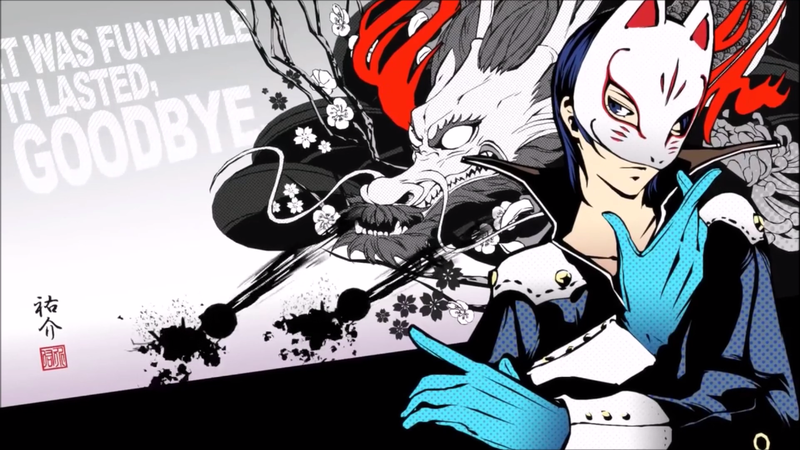 As I said, I also want to play Persona 5 again for the Platinum and for fun, but that will probably only be on occasion as I focus on the other two. If I’m lucky and finish Kingdom Hearts in August, I would love to play Final Fantasy XII: the Zodiac Age, which was my original plan for this month. My boyfriend was kind enough to buy it for me last week, but since I like only intensely focusing on one game at a time, it’s sitting on my shelf staring at me. I really hope to play it soon and with my September looking bare until the later half of it, maybe I just can! What JRPGs did you play in July? Which do you plan on playing in August?